Recently I come across the 5% rule from No More Waffle blog, he then send me to Dividend Life’s dividend investing strategy. After reading through it, I thought his strategy is pretty solid. So I decide to break it down to see how I am doing so far in the past quarter. I shall pay myself a fixed monthly budget for living expenses which shall be reviewed and adjusted if necessary in June and December. Increases in the monthly budget amount shall not exceed 2% in a given year. My monthly budget shall be $3,900. This sounds very reasonable. My basic living expenses is $1500 + $200 (gift to Dad) + $400 vacationing/spending. In the link, I only calculated $1350, but I gave myself an extra $150 as leverage. The Portfolio shall be held entirely in taxable accounts. The Portfolio shall contain stocks from each of the 10 major sectors with per-sector limits on the annual dividend contributions. It is true that it should be held in taxable account, so I’d have access to the money after I read FI. This year, I no longer qualify for Roth IRA, but I still want to maximize my 401K (It’s actually 457, which is good because after I leave my job, I could slowly convert to Roth IRA, and the money will be taxed free forever). As I get older, medical cost could be a burden someday. the extra income from retirement help. The following rules apply to individual dividend stock purchases that add to, or establish new positions, in the Portfolio. I fail to keep track of dividend growth greater than 3% over the last 5 years – I’m investing stagnant stocks like WMT, GE, CAT, and DE these stocks everybody would agree that are solid, but the upside growth potential probably aren’t there in short term. Current yield are within the 2%- 6% (I violated a lot, since I’ve been long BAC, C, and V, they are all paying well below the 2%). However, I see these company have a huge upside potential in dividend increase. as they are all paying <20% of their earning. Current stock does not exceed 7.5% of Portfolio – I also violate this one, I have a huge lopsided BAC and other financial stocks. Which I’ve divided into two categories growth stock and dividend growth stock. Maybe, I’m wrong. I don’t know yet. When comparing potential stocks, the stock with the highest value of a 5 year projection based on current yield and average dividend growth shall be preferred. I don’t use options, or short sale. “Time the market” it is difficult to time the market like everybody said, but as B at Forever Finance analysis how the market is overvalued at the moment. So, I’ve decided to keep some cash on hand, and buy if I see value stocks. What do you think of his strategy? 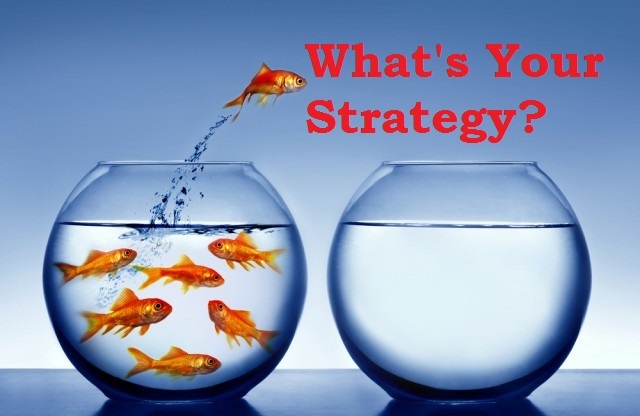 How’s your strategy differ? Hi, thanks for the mention! My guidelines are fairly broad and help keep me on the straight and narrow by avoiding high yield stocks. I don’t really go into what’s a good stock to buy which is another story all together. I have recently changed my view on the 7.5% market cap rule in favor of <a href="dividend sector allocation. Because my portfolio is more about current income, I don’t tend to worry about stock valuation and market capitalization very much. I focus more on current yield (which has a price component to it), if any one company is paying too much of my dividend income (in case it stops paying) and the ability for a company to keep paying dividends. There’s no one-strategy-to-rule-them-all in investing though, so take what you like and discard anything that you don’t like. Everyone’s situation is different – the most important thing is that your strategy aligns with your goals. I need to be a bit more discipline. Like you said, if the percentage of a company is more than 5%, and they stop paying dividend, it could be devastating if I am 10 years into retirement and depend on this income. This strategy would decrease risk greatly. That also give me more reasons to get income from multiple streams. But really, the economy is interconnected. Say 2003-2006 the economy was driving by the housing price. When the housing market bubble bursted, it brought down the financial sector, which then lead to high unemployments and recession turned I to the Great Recession. Very rarely I see people can make the right bet. For instant, people would get smart enough to buy gold in 2008, the smart enough to sell it 2011. The oil price went from $38 all the way to $115 before cashing. But the airlines and trucking companies would benefit from low oil price. In the meanwhile, the banks are able to borrow money at almost 0% interest rate! yet! we can’t buy a house loaning at anywhere near that rate. And the banks will further capitalize their profit when the fed increase the rate a bit more. I think this is a really great strategy to make solid amounts of money over a specific period of time. Obviously, dividends are great because they are passive income. Limiting yourself with a budget will basically guarantee you some passive income, as you’ll be able to use the money to buy more div stocks. Your rules will also cause you to buy stocks that are proven to be great stocks, so I think you’ve chosen a great strategy. Good luck in making lots of money! Same goes for you, bro. In a couple year, when you can put graduate school behind you, maintain the same lifestyle, I have no doubt you’ll can retire in 7.5 years, maybe even faster because I see you have a head start. I am unclear on one aspect of the post. >> The Portfolio shall be held entirely in taxable accounts. Even if all your dividends are qualified dividends && there are no capital gains distributions, isn’t there a tax angle to watch out for? I.e. are we assuming that the total income (normal income + dividend income) is less than the 0% tax of income below $74900? For folks still working, $74900 total income may not be such a reach. Even if we assume that all the dividend income is qualified, isn’t there a tax angle to consider for this statement? For example, if total income (salary + dividend income) is greater than $74900, then taxes on the income will be 15-20%. So, is the assumption here that total income (salary+div income) is less than $74900? Thank you for commenting. You open up a valid point, by putting the entire amount, we would miss out on the tax shelter, especially someone like me who are in one of the highest tax bracket. Dividend Life stated above, it’s his rule for himself, unique to his situation. When we read it, we choose what we like about it, and apply the things we like. For me, 1. I maximize my 401k, the whole $18,000 of it. 2. I am no longer qualified for Roth IRA, otherwise, I would have invest the maximum $5,500 too. 3. I could invest in a health saving account, but I’d rather have money somewhere I could use for everything. 4. I’m doing this multiple income stream, so I don’t limit myself to just stocks, when opportunity comes, I would use/sell stock to buy a property or a business with it. If we make $70k ($5300/mo) the 4% withdrawal rate, we would need the principle of $1.7 M. This is a lot of money. I need $2100/mo max, even when I factored in travel and give away money to family. It would be cheaper per family of 3 or 4, because food and shelter cost less and less as we share, etc. >> On the contrary, I guess, this is the early retirement community, if we don’t put >> the money in taxable account, we won’t have access to it without the penalty. So, what I have done in my taxable account is try to spread the money around into MUNIs (mostly tax free and some with no fed taxes only), dividend funds, and some percentage into capital appreciation funds. Right now, MUNIs get a bigger chunk of my monthly investments and a smaller chunk goes to div + cap gains stocks. This reduces my taxes now. Once the next recession comes, I am planning to reduce my MUNI investments and increase my dividend stock investments which hopefully get cheaper by then. Lets see how this strategy plays out. So, what I have done in my taxable account is try to spread the money around into MUNIs (mostly tax free and some with no fed taxes only), dividend funds, and some percentage into capital appreciation funds. Right now, MUNIs get a bigger chunk of my monthly investments and a smaller chunk goes to div + cap gains stocks. This reduces my taxes now. Once the next recession comes, I am planning to reduce my MUNI investments and increase my dividend stock investments which hopefully get cheaper by then. I like the article. It is very informative. Also, I was surprised to see my name in there. Thanks for the mention. Hopefully, all of the shareholders who are long GE will be rewarded. I am still holding, so it is a wait and see. Good luck and nice job. Thanks for the encouraging words. It’s a pleasure. Your post deserve a lot more attention. I hope to learn a lot more from you and your strategy. Thanks for stoping by. Awesome. Keep up the good work. It looks like it’s a great list of strict dividend stock rules there to ensure that we don’t invest with our emotions but with our rationale head in mind. Dividend income can serve as a good proxy to increasing cash allocation as well and that’s what I am currently doing and planning to do over the long term. B, I’ve learned so much from you. It looks like beside getting the education from school, you also continue to read more financial book and your analysis is amazing. What was your undergrad degree/major? I’ve learned a great deal of knowledge from you and other bloggers as well over time and it’s such amazing to be having such a bloggers community. This is an awesome strategy that will almost guarantee that you generate tons of passive income! It’s so important to have a set of rules to follow to eliminate a lot of the emotions that come with investing so much money. Good luck on moving towards financial independence! Thank you. I like long term strategies. Many of the bloggers are smart and have done this for many years. Stock market can fall 350 points, but many of us dividend investor only see the S&P falls 20 points. S&P can’t rise 35% like some new tech start-up, or pharmaceuticals. But the longterm growth and prospect, we can count the company will be there in thick and thin. Sleep well at night (SWAN – strategy) is the way to go! 😛 Best of luck to you too, bro! Thank you for referring to my blog! I’m glad to have pointed you towards Dividend Life’s excellent post and blog. We can all learn a thing or two from the guy. I like your blog, too. I actually really like your colorful writing style. It’s very educational. At this stage in my life, I don’t want to go back to school, but learning a little bit here or there around the web is ideal 😛 Keep writing, bro! All great rules for budgeting and for buying and holding dividend stocks. I feel that most of us follow these tenets to a certain degree with some being more meticulous than others. While I hold my dividend stocks in 3 accounts, taxable, Roth and IRA it’s not because I was seeking to do that. Sometimes IRA to Roth conversions can be costly from a tax perspective so instead of paying a tax I just kept my IRA as IRA etc. Thanks for sharing. As stated above, I’m not fully compliance. 🙂 we will find what works for us and our risk tolerance. Thanks for commenting! Goodluck on future purchases!